The development of new drugs is very complex, costly and risky. Its success is highly dependent on an intense collaboration and interaction between many departments within the drug development organization, external investigators and service providers, in constant dialogue with regulatory authorities, payers, academic experts, clinicians and patient organizations. Within the different phases of the drug life cycle, drug development is by far the most crucial part for the initial and continued success of a drug on the market. This book offers an introduction to the field of drug development with a clear overview of the different processes that lead to a successful new medicine and of the regulatory pathways that are used to launch a new drug that are both safe and efficacious. 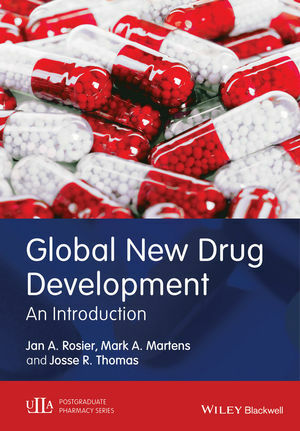 "This is the most comprehensive and detailed book on drug development I have ever read and I feel that it is likely to become a staple of drug development courses, such as those taught at Masters Level in my own University.... I think in the light of increasing integration of company and academic approaches to drug development both sides can read this book... (and, therefore)... this book could not be more timely." Jan A. Rosier, Professor, Faculty of Pharmaceutical Sciences, University of Leuven/Cranfield, School of Management. Josse Thomas, Belgium; Guest Profrssor Leuven and Université de Liège, Belgium).